Our mission is to build community among AGS parents and families, to strengthen positive relationships between parents and the school, and to support AGS via events, fundraisers, and partnership activities. We support the visual and performing arts at AGS by raising awareness of and supporting the development of both the academic and extracurricular arts program at AGS. We encourage attendance at sporting events, builds spirit through lively AGS community social gatherings, and supplements existing funding for equipment and programs. The premier auxiliary men’s group that provides enthusiastic volunteer service to the entire AGS community. MoAGS hosts the Homecoming chili cook-off in the fall which benefits Hurricane Watch. Class parent reps are the conduits, communicators, and energy behind grade-level specific activities throughout the year. Their primary role is to support their grade level deans & teachers, and create community among parents. Hospitality committee supports events throughout the school year including the Faculty/Staff Holiday Party, Faculty/staff Appreciation Events, Back to School Night and Monthly PC Coffees. We work with local restaurants, reviews online orders, places orders weekly to meet order requirements, and helps to rally parent volunteers to serve pizza. This is the PC’s biggest fundraiser, and the best way to see your daughter on campus while getting involved. This committee works together to collect, organize, sort and sell used AGS uniforms back to the community. Volunteer to help with annual and occasional used-uniform sales. Get in the holiday spirit while raising funds for AGS! This 2-day event features over 25 local artists selling everything from scarves to candles to original artwork. If you like to plan events, shop, and have an eye for display design, this is the event for you! The Spirit Store sells “spirit wear” including: Earth/Sky shirts, PE uniforms, sweatshirts, bags, magnets, and much more! Volunteer to staff a shift or give us input on fun, new, cool items you want to see sold at the store! 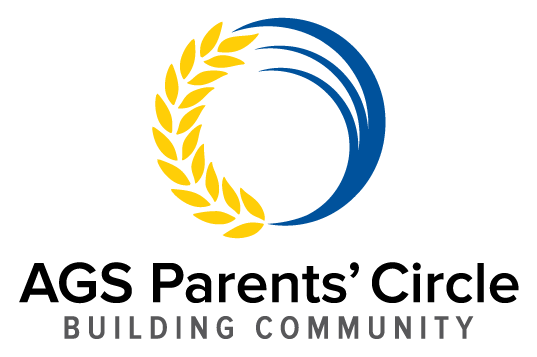 Being part of the Parents’ Circle is a terrific way to get to know the AGS community – from other parents, to your daughter’s friends, to the incredible faculty and staff that assures every day is great for your daughter. We hope you actively join us!